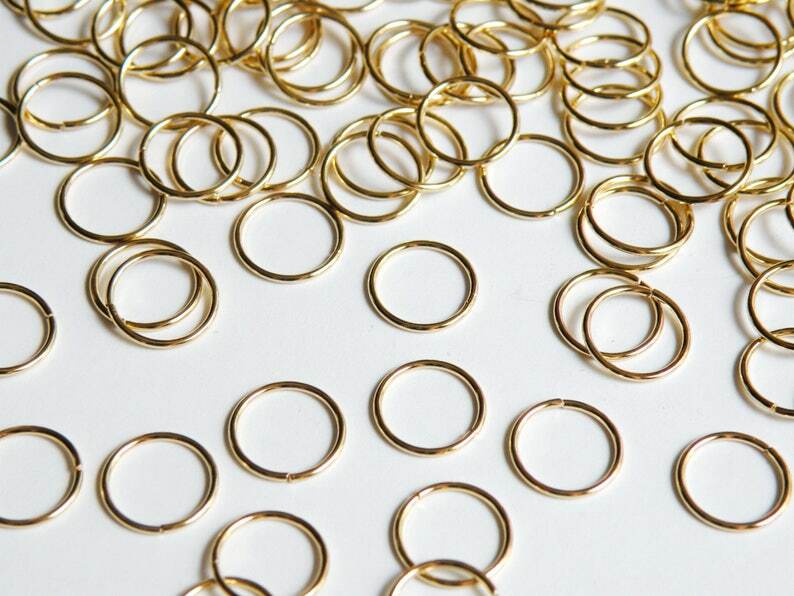 Shiny gold plated brass round jump rings 10mm 20 gauge. These fabulous jump rings are a basic necessity for making jewelry and great for chain-mail jewelry. Also available in silver plated.